Nadezhda Kutepova was forced to flee Russia after fighting for the rights of the residents in radioactive contaminated villages near Mayak, the site where all spent nuclear fuel from Andreeva Bay will be sent. On June 27, the first shipment of containers with highly radioactive spent fuel elements will leave Andreeva Bay on the Kola Peninsula. Destination: Mayak reprocessing plant in the South-Ural. 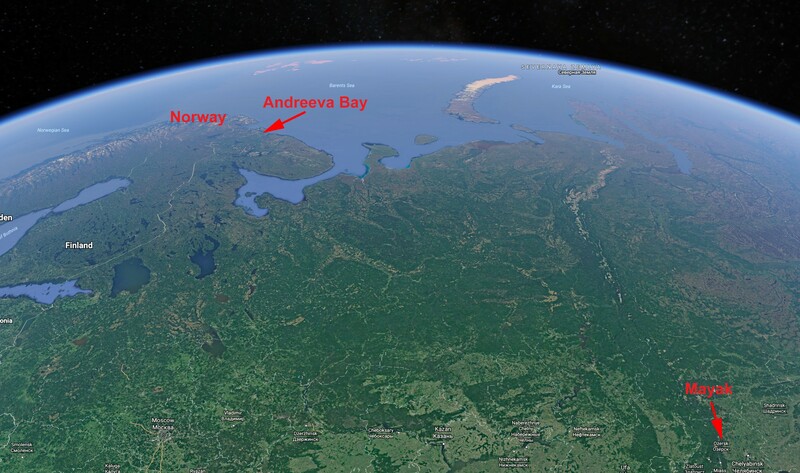 For 20 years, Norway has financed infrastructure upgrades aimed at shipping spent nuclear fuel away from Andreeva Bay. The rundown facility is located 55 kilometers from the border to Norway on the Barents Sea coast and is considered to be the worst storage facility for Cold War nuclear waste in the Russian Arctic. When the nuclear waste shipment sails away with the first few of an estimated 450 containers, Norway’s Foreign Minister Børge Brende and State Secretary Marit Berger Røsland will be on site and wave farewell. This landmark event, though, is not welcomed by activists fighting for the rights of the people effected by radioactive contamination in the vicinity of Mayak. «I think it is a irresponsible decision by Norway,» says Nadezhda Kutepova to the Barents Observer. She says out of sight, doesn’t mean out of mind. Rosatom is Russia’s state nuclear corporation in charge of operating the reprocessing plant in Mayak where all accumulated naval spent nuclear fuel from the fleet of submarines will be treated. In total, some 22.000 spent fuel elements are to be shipped from Andreeva Bay, first with boat to Murmansk, then by rail to the Mayak plant north of Chelyabinsk. Both the vessel to sail in shuttle between Andreeva Bay and Atomflot in Murmansk and the railwagons are special designed to assure best possible safety. Each container takes 49 fuel assemblies. In total, 450 container transports will be needed before the storage tanks are empty. In other words, the containers will be shuttling back and forth between the Kola Peninsula and the Chelyabinsk region for years to come. «Mayak’s reprocessing activities are dangerous. It is a very bad idea to send more waste. In reality, Norway can never check what happens there,» says Nadezhda Kutepova. «Supporting the activities of Mayak, like reprocessing, Norway increases violations of human rights for the people who are living in the vicinity of the nuclear waste storages. Especially those living along the Techa river,» Kutepova explains. Techa river became heavily contaminated by radioactive waste products from the production of plutonium for nuclear weapons that started at Mayak in 1949. Other accidents, like the 1957 Kyshtym disaster, have contaminated other areas in the neighborhood where tens of thousands of people were living. 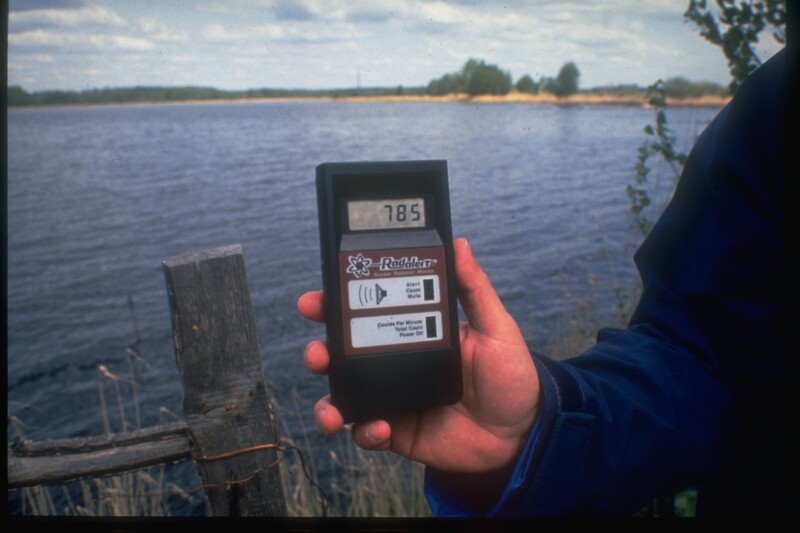 Radioactive water from Mayak goes to a system of reservoirs. «Mayak can’t prevent leakages from the reservoirs into the Techa river. Espesially in the spring. They are lying,» Kutepova claims and says there are still some 5000 people living in four villages downstream the contaminated Techa river. For Nadezhda Kutepova, fighting for the rights of people living in the villages along the Techa river came with a price. First, the organization she founded in the 1990s, Planeta Nadezhd (Planet of Hopes), was declared «foreign agents» by the Justice Ministry in April 2015. The law labeling NGOs as «foreign agents» aims to close down activities of groups working with political questions and get funding from abroad. Recently afterwards, the federal TV channel Rossiya 1 aired the news that Planeta Nadezhd used American money to conduct industrial espionage. When accused of treason in media Kutepova fled to France seeking asylum. She is afraid the accusations presented on federal TV were just the beginning of what could be formal prosecution. Talking to the Barents Observer from Paris, Nadezhda Kutepova explains how people die from cancer in the area polluted by Mayak. She should know. Growing up in the closed town of Ozyorsk - formerly known as Chelyabinsk-65 - her father and grandparents were victims of the nuclear industry they worked for. They died of cancer. She says Norwegian authorities should talk to NGOs that have worked in the area. They can tell another story than officials from Rosatom will tell. «It would be better not to waste the money. They should have supported another storage from the first moment, but I know this isn’t an easy decision. But they need to study the issue better,» Kutepova argues. Norwegian officials are well aware of the troubles in Mayak. Ingar Amundsen is head of section for international nuclear safety with the Radiation Protection Authorities. «We are familiar with the history of the Mayak plant. Significant amounts of emissions to the environment took place in the 40s and 50s. However, today’s operation can’t be compared to how the practice was in the first years and the emissions from the activities today is of a completely different scale,» Amundsen says. He explains how Norwegian authorities have cooperated with Russia over the last two decades preparing for safe removal of spent nuclear fuel from Andreeva Bay. «The spent nuclear fuel is now being packed in new and safe storage- and transport containers. Those containers are now, in accordance with the Russian strategy for handling spent nuclear fuel, transported to Mayak which is the operating facility in Russia to receive this kinds of material,» Ingar Amundsen says. The reprocessing plant in Mayak, named RT-1, started operation in 1977 and has until now only processed spent nuclear fuel from the first and second generation of Russian designed water cooled reactors from nuclear power plants. Recent upgrades, however, now make it possible to reprocess fuel also from submarine and icebreaker reactors. «We have visited the Mayak plant on several occasions. This as a part of a cooperation with the Russian side to assess the major environmental challenges resulted from releases and accidents in the early phase of plant’s operation. We have looked at the conditions for storing radioactive waste,» Amundsen says. He underscores that Norway’s dialogue with Russia continues. 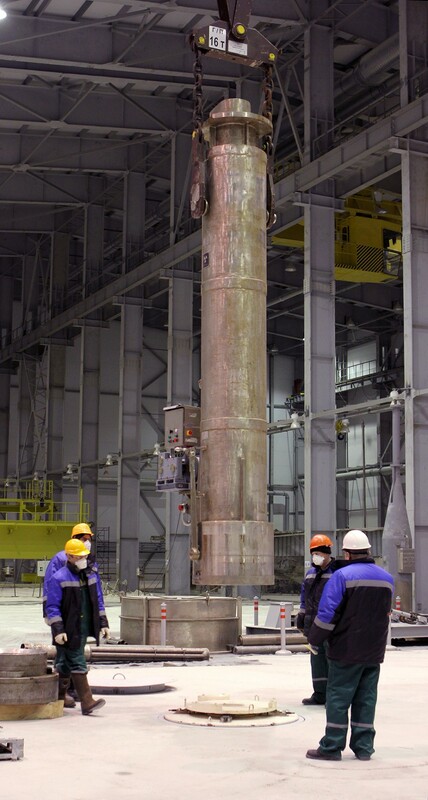 At the reprocessing plant in Mayak, the spent nuclear fuel will be chemically separated, a process where plutonium and uranium will be recovered. Reprocessing, though, does not reduce the volum of high-level waste. It creates an increased volum in liquid form. Also, radiation from the remaining isotopes is high and therefore does not eliminate the need for a highest possible technical and security storage options. At Mayak, limited information is available in public domains about technical solutions for both the reprocessing itself and storage solutions for the waste products. Ph. D. Natalia Mironova, a former Member of the Regional Duma in Chelyabinsk, has earlier told the Barents Observer that there are better options than reprocessing. «Legacy of reprocessing spent nuclear fuel at Mayak has been a heavy burden for many generations. It is a big injustice for the local people,» Mironova says. «Reprocessing is dangerous. We have bad experience in handling liquid radioactive waste,» she argues. Mironova also points to the risks of transport and reloading the containers with fuel. Most other nuclear power countries in the world chose to store the waste and not reprocess it. 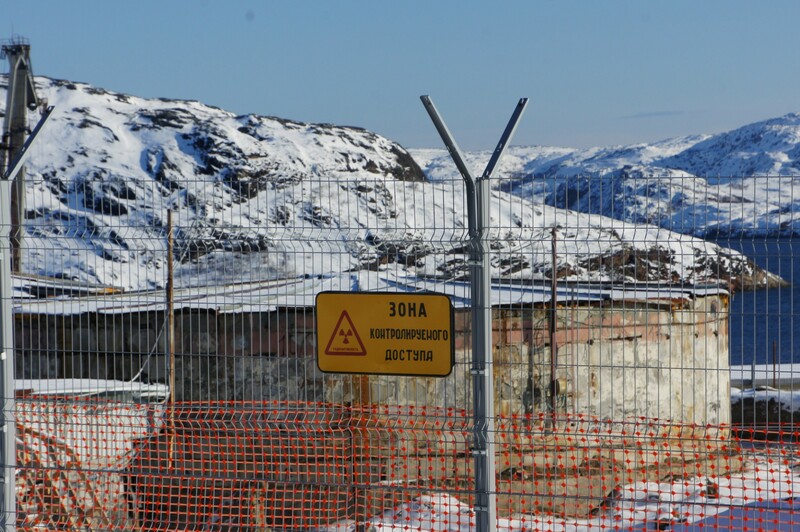 On June 28, the joint Norwegian-Russian commission on nuclear and radiation safety will meet in Kirkenes, Norway’s border town to the Kola Peninsula in the north. Ingar Amundsen informs that future project cooperation related to Andreeva Bay will be discussed. With project funding from the Ministry of Foreign Affairs, some 2 billion kroner are granted by Norway to nuclear safety projects in northern Russia over the last two decades. Norway has a self-interest in continuing the nuclear safety cooperation with Russia. Frode Overland Andersen, head of communication with the foreign ministry writes in an e-mail to the Barents Observer that Norway has a self-interest in continuing the nuclear safety cooperation with Russia. «To secure our own safety,» he argues when asked why Norway should continue to finance clean-up work on Russia’s military nuclear waste. «The Government’s Action Plan on Nuclear Safety (2013-2017) will be revised from 2018 and it is therefore too early to tell the level of further efforts,» Overland Andersen writes. The storage dump in Andreeva Bay was built soon after the Soviet navy got its first nuclear powered submarine in the early 1960s. A pool type storage, given the code-name Building No. 5, had a leakage in the early 80s and the lethal fuel elements were urgently transferred to the three dry storage tanks. Supposed to be temporary, the totally run-down tanks have now served for more than 30 years. The 22.000 fuel elements in the tanks are equal to around 100 reactor cores. In addition comes thousands of cubic meters of solid and liquid radioactive waste that one day will be removed. Speaking at a seminar in Oslo devoted to Putin’s Year of Ecology, Bellona’s Frederic Hauge said the removal of the spent nuclear fuel from Andreeva Bay likely are the most risky part in the Post Cold War history of nuclear waste clean-up in the north. «But the work has to be done, and a good way to ensure it’s done in best and safest possible way is to maintain international cooperation at the site and let groups like Bellona have an independent eye on what’s going on,» Hauge said.